I wrote a post a month or so ago on the risks from ETFs, in particular how ETFs on less liquid markets - with high yield bonds being my poster child - could cause problems for the market generally. Basically that there is a fundamental flaw when people think an instrument based on a illiquid market is capable of intraday liquidity. And that if the ETFs in such a market have a severe problem, ETFs generally might be considered tainted by a range of retail investors, leading to an outflow from even the more liquid ETFs. Investors Playing ETF Rout Pushed Junk Bonds to Brink of Chaos. Trading in exchange-traded funds got a little crazy last week when it became clear that junk bonds were in for more pain. But the market was fortunate the consequences weren’t more severe, strategists warn. 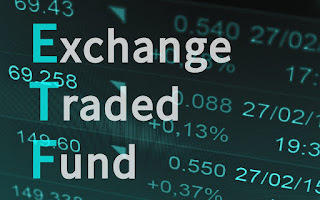 Though spared the worst, investors came close to creating a scenario where ETF activity drove prices....a snowball effect where a dislocation develops between the fund price and the value of its underlying assets.